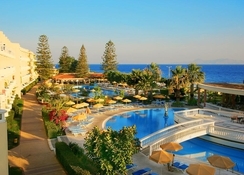 Situated in the beautiful seaside resort of Ialysos in Rhodes, is the family-friendly Sunshine Rhodes Hotel. The ancient town of Ialysos is a short walk from the property, while city centre of Rhodes is just 7 km away. 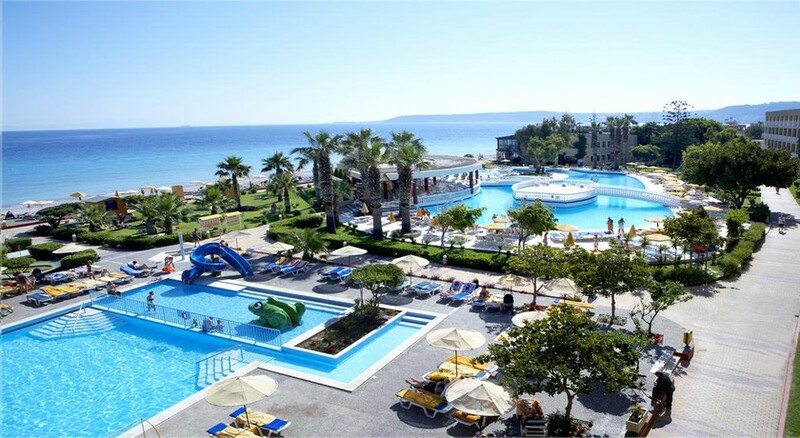 Built along the seashore, the hotel offers splendid views of the Aegean Sea, comfortable rooms, entertainment for kids and a plethora of outdoor activities for adults. Sunshine hotels also offer a team of professionals who ensure that you relish every moment of your summer holiday in Greece. Foodies can dig into lavish buffet spreads, hearty Italian dishes and endless drinks at the restaurants and bars of the hotel. For active souls, the hotel has in store a variety of outdoor activities. Start your day with gymnastics, take a dip in the hotel’s pool, and finish your day with an animated game of water polo or backgammon. In the evening get ready for family-friendly entertainment, such as Greek dancing lessons, musicals and live shows. 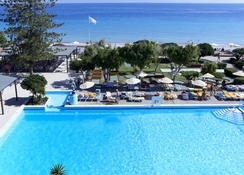 With so much to do and see, Sunshine Rhodes Hotel is no doubt a hot favourite among holidaymakers in Greece. 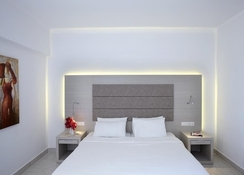 The hotel is located in Rapti Square in the seaside resort of Ialysos in the beautiful Greek island of Rhodes. The city centre of Rhodes is 7 km from the hotel, while the town of Ialysos is also within walking distance. The nearest airport is Rhodes International Airport, which is located at a distance of 8 km. It takes nearly 15 minutes to reach the hotel from the airport. 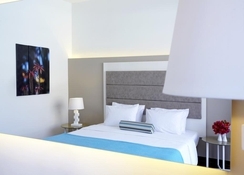 The hotel has 405 stunningly decorated units, which have undergone recent renovation. They come in various categories: Double Land/Garden View Room, Double Sea View Room, Family Land View, Family Sea View, Family Pool View Room and suites. The rooms come with single and/or double beds, shower, direct telephone connection, Wi-Fi access, mini fridge, furnished balcony or terrace. The main restaurant, called Dionissus, features lavish buffet spreads for breakfast, lunch and dinner, while Mamma Mia is an a-la-carte restaurant, which offers authentic Italian dishes. The restaurants also offer international cuisine and theme nights. The three pool bars and the main bar at the hotel serve a range of juices and beverages, cocktails and much more. Sunshine organizes a lot of physical activities for both adults and kids. You can indulge in gymnastics, water polo, archery, table tennis, garden chess or even mini golf. Relaxing at the beach is another great past time. Finish your afternoon with a dip in the ocean and get ready for a fun-filled evening. There are 3 relax pools, an activity pool with with 2 waterslides for kids, as well as 2 separate kids’ pools. Day and evening entertainment options at the hotel include open-air theatre, shows and musicals, pool games, aqua aerobic and beach games.